Let’s save a little Pi for later. Backing up your Raspberry Pi is a crucial step for many projects. Maybe you're about to update the OS or perhaps you're experimenting with a cool new application. Whatever the reason, it's never a bad idea to make a quick backup of your Raspberry Pi and its contents. In this guide, I'm going over the easiest way to back up your Raspberry Pi for Windows users. This guide will require the use of a third party imaging program. Using a Mac? Use our MacOS Raspberry Pi backup guide instead! 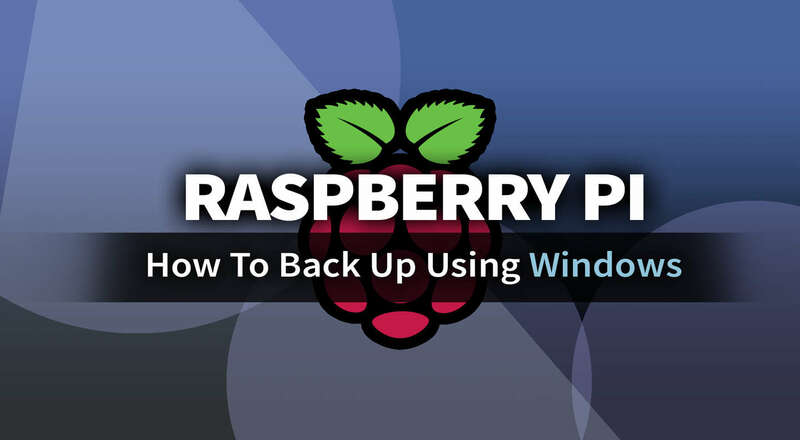 Performing a Windows Raspberry Pi back up is easy. To accomplish this, you'll need a disk imaging program. 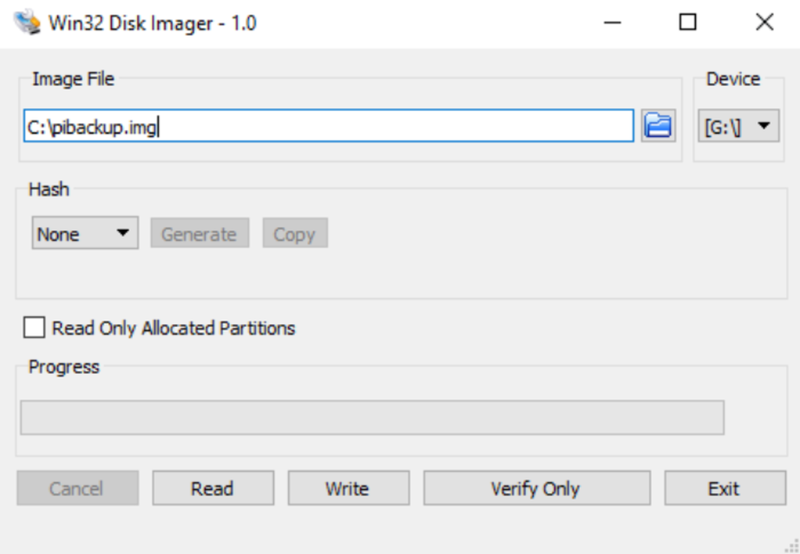 In this guide, I'll be using Win32 Disk Imager. It's a free tool available for a wide variety of Windows applications. 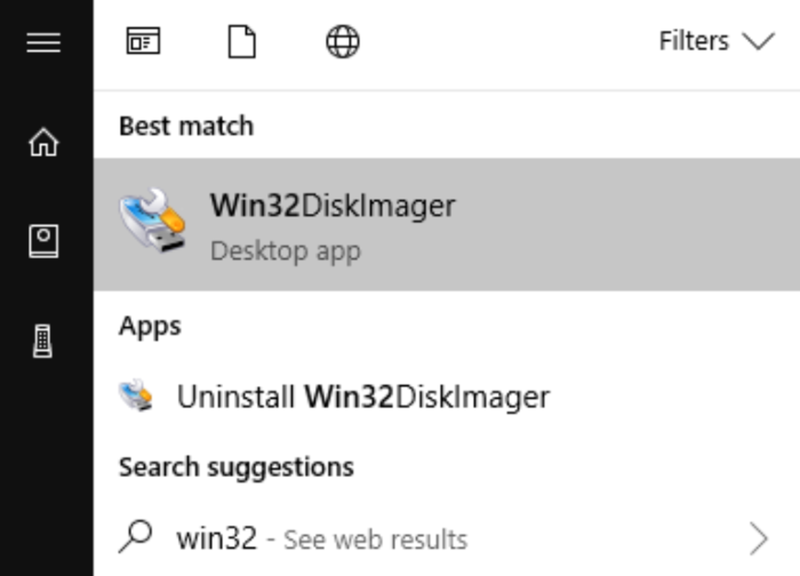 To get started, launch Win32 Disk Imager. It can be helpful to launch the application with administrative privileges. The Raspberry Pi backup will be stored in a single file. You'll need to choose a location to store your backup. Be sure to name the backup file and include the .img extension. This will create a backup file named pibackup.img located in the top level of the C drive. Select the "Run" option to initiate the back up process. The amount of time this step takes can vary depending on a few factors. You'll have the opportunity to track the progress with a loading bar. 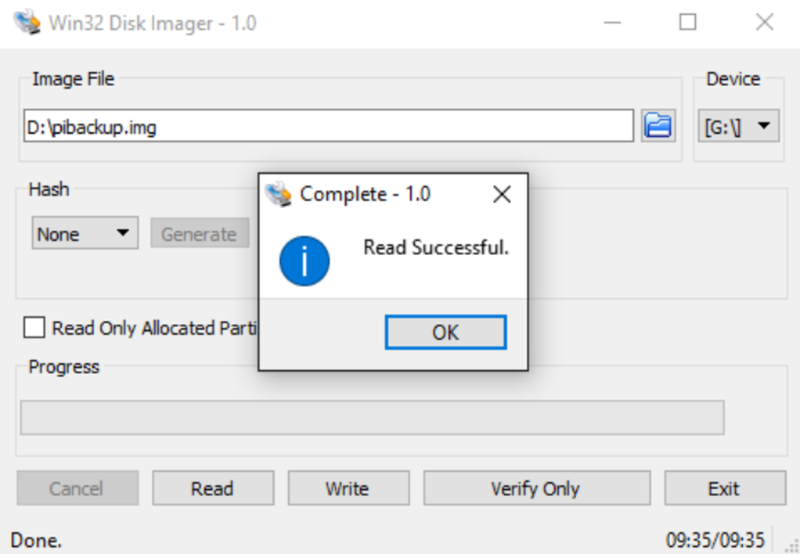 To confirm your success, Win32 Disk Imager will notify you via pop up alert. However, it's best to double check the location to ensure your backup file is actually there. It should have the .img extension following the name. Congratulations! Your Raspberry Pi's contents are now backed up safely. 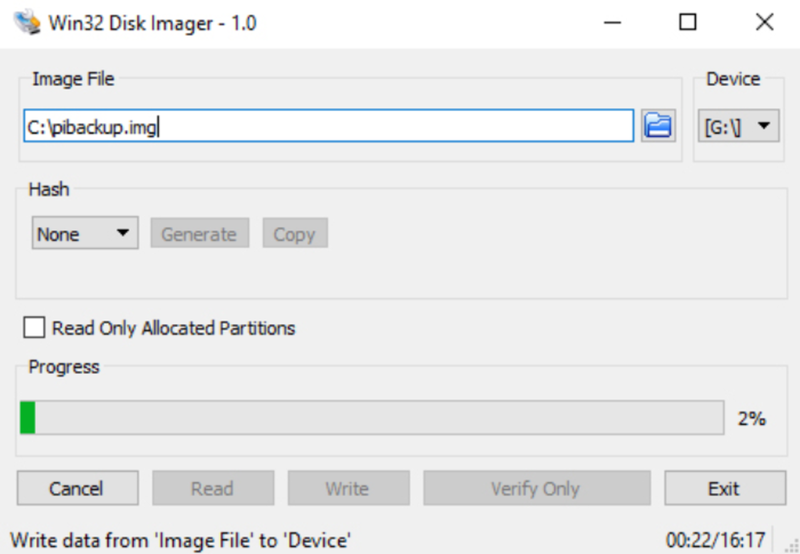 To restore your backup file to the Raspberry Pi, choose the backup image file and set the device letter to your SD card. 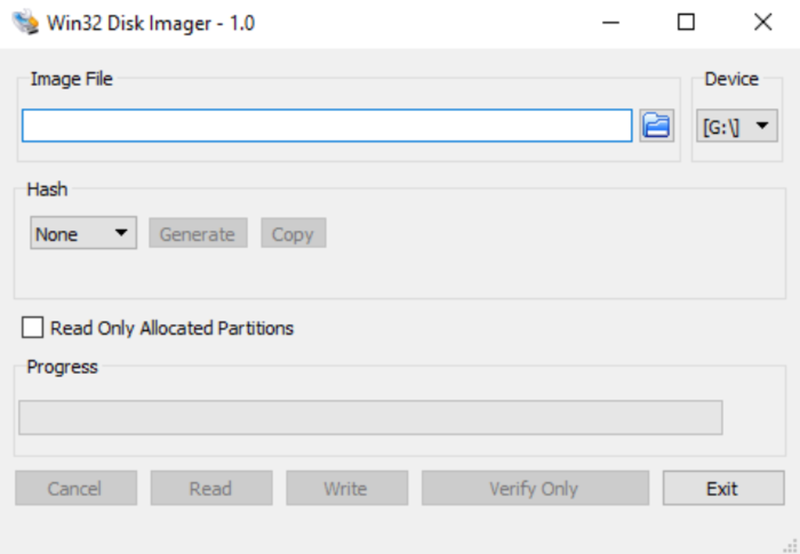 Clicking “write” will update the SD card with the image file you've selected. 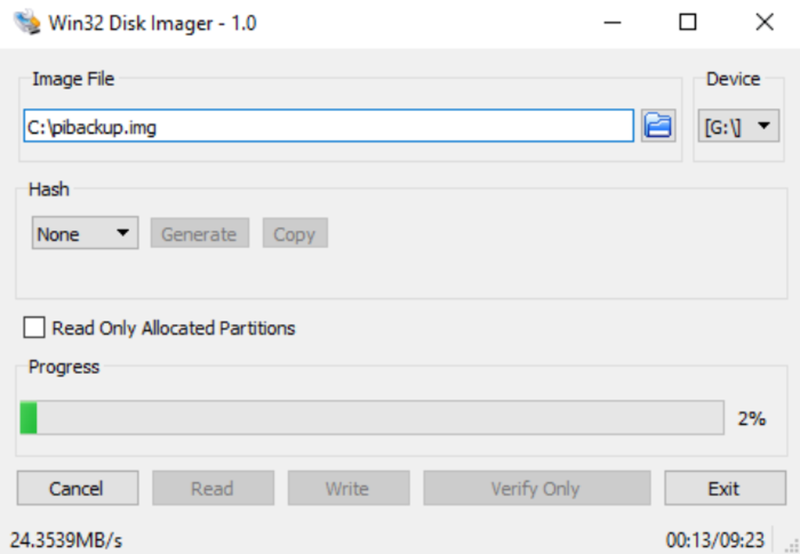 Note: If your Raspberry Pi's file system is expanded to use all available space, be sure to load your backup image onto an SD card of the same size or larger.